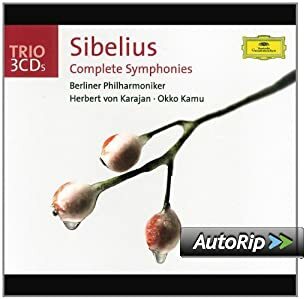 I stray sometimes from the Davis/Boston Sibelius but always return to it. Departing from my usual symphonic fare, this is on the turntable tonight. Some great playing by Helmuth Rilling, Walter Kraft, and some other folks. I especially appreciate the Frescobaldi pieces in this 5 LP set. Ya know, there are days when my head just needs something 'non-intrusive' to listen to and for some reason ten other day, I decided to dig out this box set and I popped in Disc 17 and it was wonderful. I've had the box for six years and never quite listened to much of it. I am sorry that it took so long for me to rediscover in my collection. It was actually recommended to me by WNYC DJ Clayelle Dalferes after a brief email exchange about Jacqueline Du Pre...after I saw that movie....that a lot of people seem to dislike. I've always enjoyed the sound of a warm, romantic cello. It seems as if this set really fits that bill. Of course, I just learned that EMI re-issued the same set two years ago with ONE extra track that they FORGOT in my 2008 set. 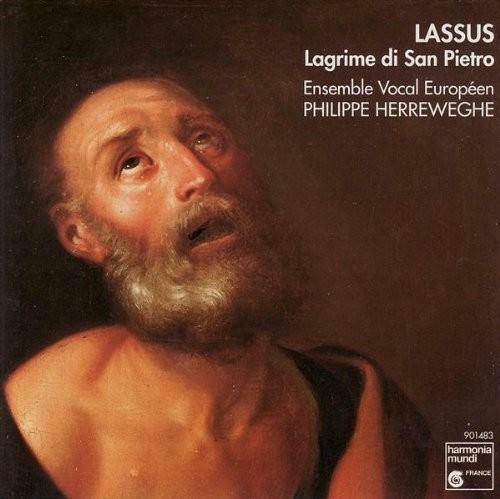 It seems that the Classical world is not immune to the same type of screw ups that are found in the pop world. Mr Bass, bluemooze and ToddBD like this. Looking in the deadwax, these discs were mastered by Rudy Van Gelder, and Sam Feldman…no wonder they sound great. I've only ever once been in someone's house who owns a grand piano. He played some things for me, and it was far louder than I would ever listen to on my stereo. Now listening to "Shostakovich - Piano Concerto No. 1/Haydn - Piano Concerto No. 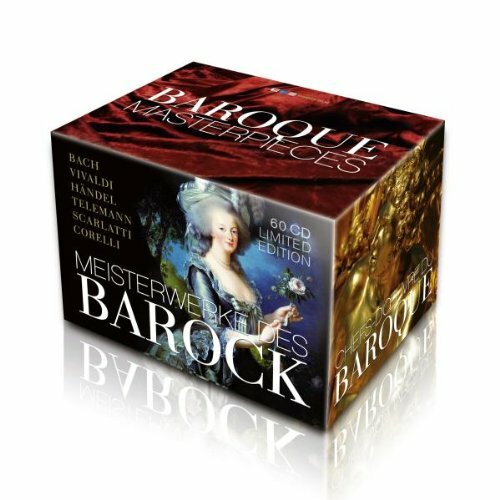 11" performed by Martha Argerich with the Wurttembergisches Kammerorchester Heilbronn conducted by Jorg Faerber on DG CD. Mr Bass, Joe071, trumpetplayer and 1 other person like this. bluemooze and trumpetplayer like this. Just put on HvK's Sibelius 1st from the EMI Mega-box. First listen. Joe071, bluemooze and Rose River Bear like this. I have that set. The only problem I have is the amount of duplicated repertoire. If you can find a copy of the video of "The Trout" with Jackie, Itzhak, Pinchas, Zubin and Daniel B. - it was released on DVD, but I think it's OOP - I heartily recommend it. HvK's EMI remakes of the 4th and 5th are awesome. What did he have against the 3rd? john greenwood, bluemooze and Robin L like this. We had a Steinway "C" from the 1930's in our living room with nothing going on in the bottom octave and an octave just above middle "C" where the hammers were damaged by a coffee spill. It was eventually bought by a real pianist and properly restored. Collector Man and bluemooze like this. 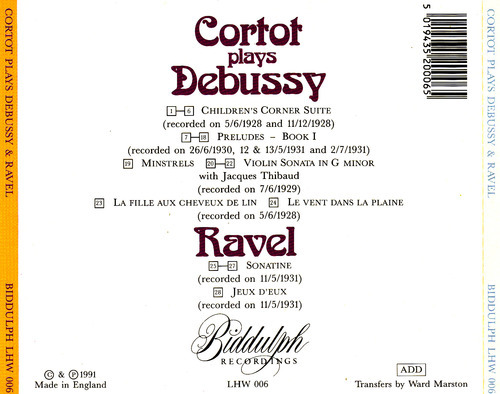 Now enjoying Debussy's first book of preludes, in this superbly open transfer by Ward Marston for Biddulph records. I compared the sound to the most recent EMI Anniversary Edition and the EMI lacked the sparkle of the Biddulph. The EMI also had some extra bass that added some warmth, but also took away some of the clarity found in the Marston transfer. 2 used copies of this long OOP CD can be had for under $16 on amazon right now. Reported by the U>S Stereo & Hi Fi review magazine ( in 1965 or later)- (1965 was the year I first brought and read the mag): They produced an article where they sent a technican into concert halls - during rehearsals and after gaining permission to do so - for instance - when concert pianists were practising and 'testing out' the ascoutics and surroundings for a coming concert or two. Using sound meters and top microphones they checked the sound levels naturally registering in various parts of the halls. One striking point remains in my memory. Recording the second page of the piano score of Beethoven's Pathetique Sonata from one pianist .... taking a sound check sample leaning over the edge of an upstairs balcony he registered a staggering 110db! No doubt it would sound absolutely perfectly natural, when an audience was also 'in place'. Yet none of us can imagine listening to such sound levels (if one had speakers that would stand that capability-constantly) in one's own home. Even at 90 db...listening to some piece- things are getting what one would call "a little wild". But were you listening to rock music forty years ago when you blasted the daylight out of your speakers? I know Robin loves this remastering. Perhaps he'll comment. I think the artwork with it's nod to the HMV,not Angel "Greatest Recordings of The Century" is cool. But I have all the British pressed Angels,and early Columbia LPs.I'd never buy something like this. 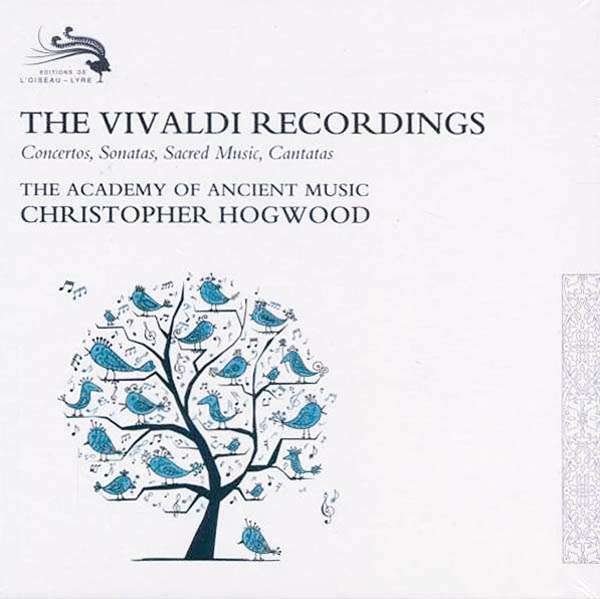 Was playing CD 6 from "The Vivaldi Recordings" performed by Christopher Hogwood and The Academy Of Ancient Music on L'Oiseau-Lyre. Il Cimento Dell 'Armonia E Dell 'Inventione Op. 8. 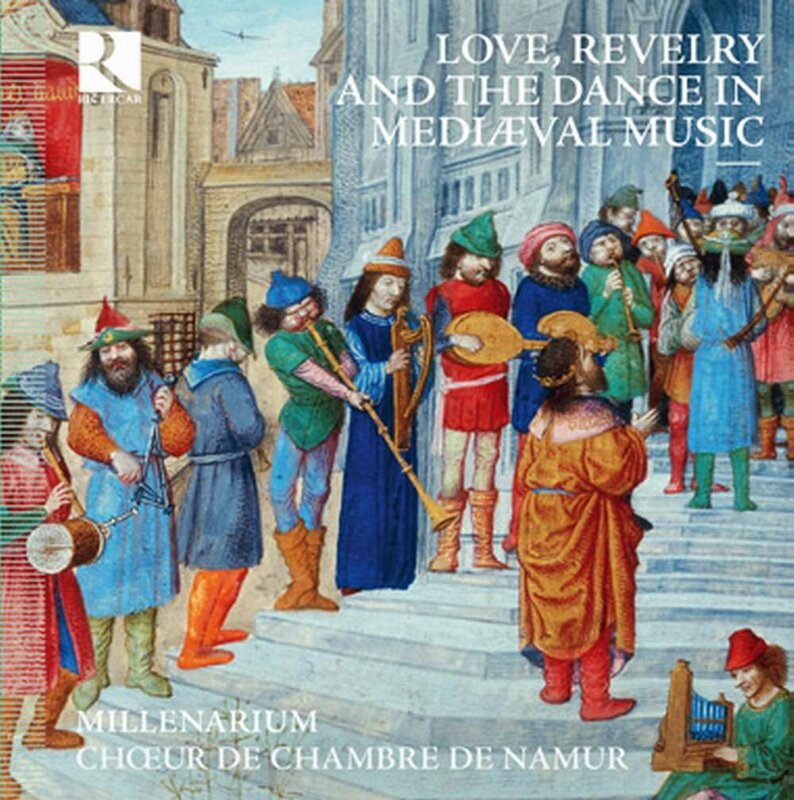 First listen to CD 6 from "Love, Revelry And The Dance In Mediaeval Music" performed by Millenarium on Ricercar. Now listening to "Mussorgsky - Pictures At An Exhibition" performed by Evgeny Kissin on RCA. 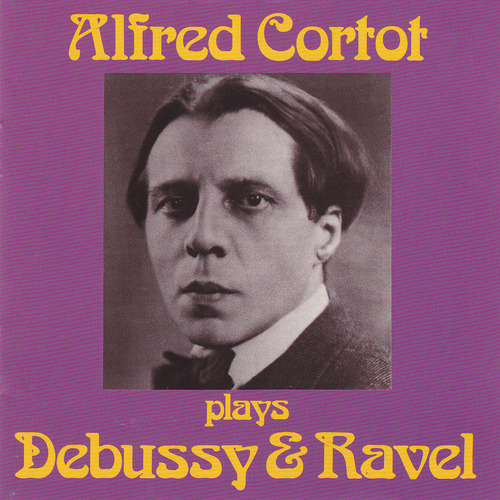 Also, Bach-Busoni - Toccata, Adagio and Fugue in C/Glinka-Balakirev - The Lark. Joe071 and ToddBD like this.